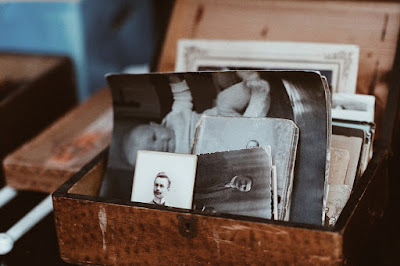 One of the things about reading historical stories is that things that may have been covered up or hidden while the event unfolded are now revealed. The human factor that was often forgotten now can have their full story told. Today, we have two historical stories, one is non-fiction and the other fictional, but both shed light on great tragedies of their time. When Marie Curie discovered radium, it was hailed as a miracle cure. Most of its properties weren't even well known, but it could be added in minute amounts to paint and make it luminous, which was then used for watch dials and military consoles. Young girls were employed in factories prior, during and after World War I painting the dials. The favored technique was to shape the brush, dip it in the bowl of paint, then paint the dials. 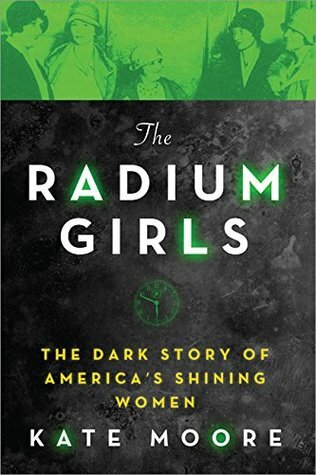 At the time, it wasn't known what this could do to the girls, and as information gathered about the effects of radium paints, the companies involved actively hid it and lied to the girls. Kate Moore did extensive research into the work records, health records, and court transcripts. She interviewed surviving family members, went to their hometowns, walked the paths that the ladies took. This kind of research shows, because the story unfolds and seems almost effortless while reading. The ladies in the workshops come to life and are slowly, painfully, suffering from the effects of radiation poisoning. All of the workplace regulations that we have now are because of their efforts to take the companies to task. The horrible pains, losses, and illnesses suffered are outlined, and it really brings home the difference a hundred years of knowledge can make. These ladies struggled to find justice and finally won that battle in court. Some sections seem to flow more like a play, and Ms. Moore's background in the theater is evident here. She obviously cares about this topic and the ladies she researched, and you learn a lot about all of the ladies and their families in this era. This is a hard read in places because of that, and I had to continually remind myself that we now have laws and regulations in place because of these very abuses of power. Still, I couldn't help but think about the ladies and the effort involved long after I finished the book. 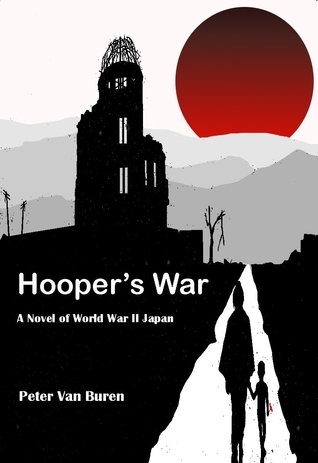 Nate Hooper fought in Japan in World War II, fighting on the ground and following the orders of his superiors. Along the way, he lost fellow combatants and his innocence, though superiors don't care much about the loss of spirit and hope. They care about orders followed, Japanese opponents fought, and painting a heroic picture for those left behind in the United States. The story is told in reverse chronology; it opens in 2017 with Nate returning to Japan, then we go backward in sections to see the events referenced, interspersed with Nate's musings in 2017, First, we see the battle at Kyoto, then the "daring escape" his superiors talked about and changed the nature of in reports, the train station attack, the fields, etc. We keep going further and further back, seeing the origin of his disillusionment. Death is never pretty, but he sees it in various kinds of ways. It's vividly described, and brings home the horror of war on soldiers. We also get scenes from the perspective of Sergeant Eichi Nakagawa, and the horrors are the same for Japanese soldiers. War, as seen on the ground, is one that carves out humanity in pieces. Battles aren't grandiose, and the losses are glossed over for the media back home. It's an entirely different world, one where the casual cruelties are rewarded. Saving lives is actually punished if that goes against orders, further lessening the hope in the field. Both of these books sounds incredibly. Definitely adding to my TBR. Great post! They were really good to read, and I absolutely couldn't put them down.